Apart from tuition, college education is considered a significant investment because of other expenses involved. These include the purchase of learning materials, daily meals, and commute or travel fees, to name a few. If the student happens to study away from home, then this also includes the cost of living space. While areas having schools always have places to live for students, particular locales stand out, as they not only are the home of the country’s foremost universities, they also feature areas that are ideal for student housing, condos, and accommodations, and thus offers real estate investors potentially good sources of recurring income. 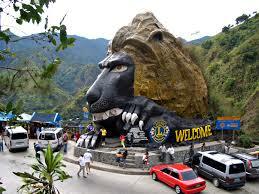 Considered by many as the educational center of Northern Luzon, Baguio City is home to many colleges and universities. These include the University of the Philippines Baguio, Saint Louis University, the University of the Cordilleras, the Philippine Military Academy, and the University of Baguio, to name a few. The city’s relatively compact urban core and cool climate make it an ideal place for students to live, as inconveniences like extremely hot weather, long commutes, and heavy traffic are minimal here compared to other cities. While real estate is a little pricy in Baguio, rental rates are quite reasonable, with several offering total areas adequate enough to share with roommates. At present, one-bedroom homes for rent in Baguio currently go for as low as Php6,000 per month and are ideally located in areas like the Burnham and Legarda areas, which are just a jeepney ride away from the business district and the most of the schools situated around it. Best known for Silliman University, the Philippines’ first Protestant university and first American university in Asia, Dumaguete is considered the “center of learning in the south” because it is also the home of other notable schools like Foundation University, Negros Oriental State University (NORSU), and St. Paul University Dumaguete. The city is ideal for student living because of the proximity of the schools. Silliman’s campus is adjacent to and merged with the city’s downtown district, while NORSU’s two main campuses are both located in the city. 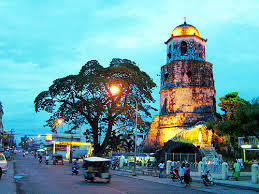 While a costal locale, Dumaguete is not too prone to typhoons. Homes and apartments for rent are very reasonable in Dumaguete where, based on the current listings on Lamudi, one can rent homes with two bedrooms and two bathrooms for Php13,000 per month, which is ideal for two to four students. Rental properties at this rate are common in the Candau-Ay and Batinguel areas of the city, which are a few kilometers away from downtown and the university district. Metro Manila is home to some of the Philippines’ finest educational institutions, and with such a diverse real estate market, it has a number of areas that are great for students. If it had to be narrowed down to just one place, the Katipunan Area stands out. 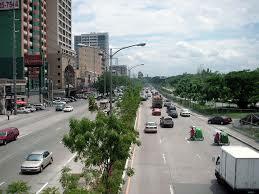 A national highway, Katipunan Avenue runs from the University of the Philippines Diliman and is in the vicinity of Ateneo de Manila University, Miriam College, and the Multiple Intelligence International School. Expectedly, the area has a number of residential spaces for rent, particularly condos geared toward students. Understandably costly due to their location, rental properties in the Katipunan area are quite pricy. For example, one-bedroom condo units’ monthly rents can range from Php13,000 to Php20,000. These spaces are in projects like Berkeley Residences and Blue Residences, which are a stone’s throw from the aforementioned schools. In addition to condos, there are also dorms and boarding houses nearby for those opting for the traditional student housing option. With schools like De La Salle University, College of Saint Benilde, and Saint Scholastica’s College within its vicinity, and with others like Philippine Women’s University and Arellano University within its proximity, Pablo Ocampo Street cannot not be included among ideal places for students to live. 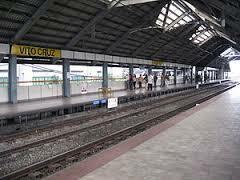 Formerly named Vito Cruz Street, the thoroughfare’s section within the city of Manila is close to the Vito Cruz Station of LRT-1, while its Makati section is close to Ayala Avenue and Circuit Makati. The street is close not only to colleges and universities but also to condos, hospitals, and upcoming township developments. While most would expect living space to be costly in the area, there are a number relatively affordable condos close to Pablo Ocampo Street, with rates ranging from Php5,000 to Php20,000 per month for one-bedroom units. These are situated in developments like the Pacific Regency, the Kingswood Condominiums, and Cityland Vito Cruz, to name a few. The center of Metro Cebu, a highly urbanized metropolitan area on par with Metro Manila, Cebu City boasts plenty of urban conveniences, including a central business district, tertiary hospitals, and an international airport, among many others. The city is also home to a campus of the University of the Philippines Visayas, along with 37 other institutions for higher education, which further cements its position as one of the region’s most ideal places to reside and study. Accommodations are a bit costly in Cebu. Like Metro Manila, however, Cebu City has a number of residential spaces for rent, thanks in large part to the presence of condominium developments that are typical of highly urbanized and populated areas. Ideally situated near the business district and several schools, these units provide safe and convenient accommodation. A rate of Php10,000 a month is sufficient for a studio unit in the city, units which typically have as much as between 18 and 25 sqm of floor area, which makes it possible to house an additional student or two. Expectedly, housing is costlier at the center of the city, but outer areas like Brgy. Banilad provide affordable options yet remain in good proximity to a number of schools. 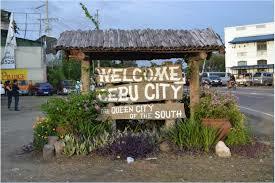 Like how Cebu City is for the Visayas, Davao City is center of education for Mindanao. The city is the current home of 33 total colleges and universities, which include the University of the Philippines Mindanao, Ateneo de Davao University, and the University of Southeastern Philippines. The city is also widely regarded as one of the safest in the country, making it ideal student residence. 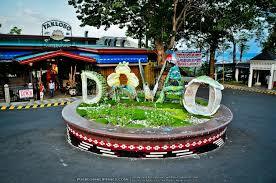 Davao City offers a wide variety of residential spaces. Expectedly, the neighborhoods that are farther out provide more favorable prices, and the distance is not too much of an issue as the city is well organized. Some of the most affordable places to rent an apartment in Davao City include the city’s Catalunan Grande area, which is closest to the University of Southeastern Philippines and UP Mindanao. There are various apartments for rent in Catalunan, with rates as low as Php10,000 per month for a two-bedroom, 70-sqm property.